A few months ago I reviewed Cardoo Cards. Cardoo cards have provided lots of fun for all the girls' friends who have received one. In fact I bought each of the girls one for their birthday and they loved them. 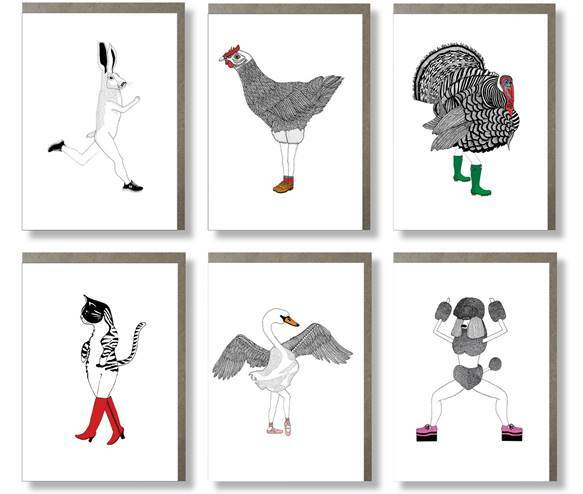 The range is now expanding with two new ranges from illustrator Lexi Hayman. Each range has six designs with an animal theme. I love the simplistic design of the cards which makes them suitable for most people to receive. 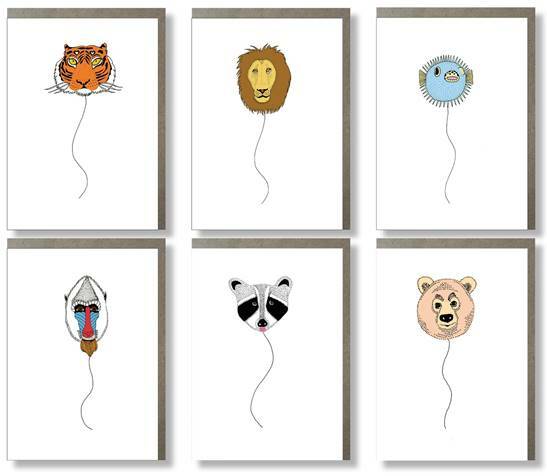 Animal Balloons and Animal Legs are the names of the ranges and each one is blank inside so you can write your own personal message. I love the quality and feel of each card too, plus the rather quirky designs. They are suitable for most occasions. Animal legs also features a little twist the swan for example is in ballet shoes - swan lake, and the cat is 'Puss in Boots'.